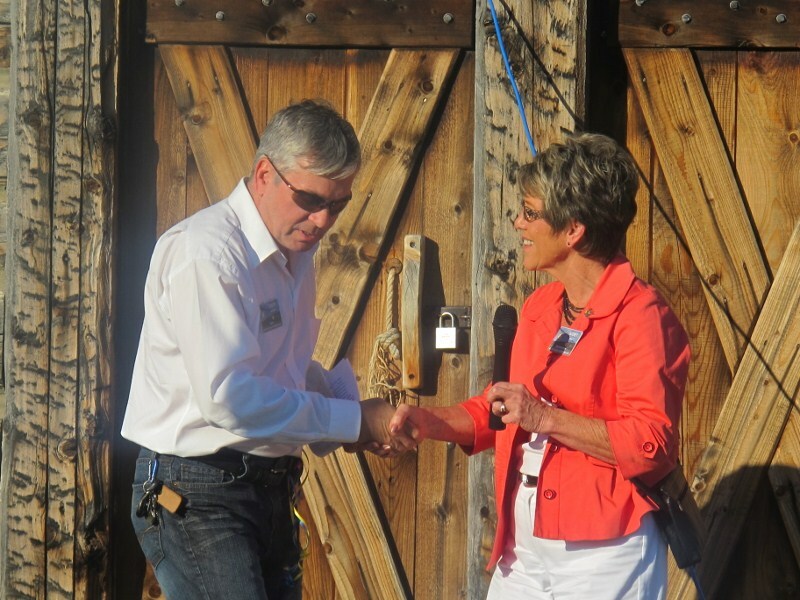 Preparing to roll from one Rotary Year into another, our Club hosted the Passing the Gavel event at Fort Whoop-Up. All four city Rotary Clubs were represented : Lethbridge, Lethbridge East, Lethbridge Sunrise and Lethbridge Urban Spirits - as well as the Winston Churchill High School Interact Club and University of Lethbridge Rotaract Club. Outgoing Presidents relayed some of their Club events and vied for bragging rights, thanking their executives for the year. They passed the gavel on to the Incoming Presidents who hinted at exciting events coming up in the new year. The atmosphere at the Fort was relaxed and sunny, the BBQ meal was tasty, and the whole ambience was conducive for good fellowship between the participants. Another memorable Rotary Event !.